Ingredients: Water, Sorbitol, Sodium Carboxymethylcellulose, Methylparaben, Propylparaben, Potassium Chloride, Di-basic Sodium Phospate, Calcium Chloride, Magnesium Chloride, Sodium Chloride, and Flavor. 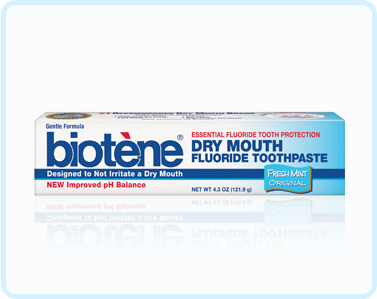 The Breath Remedytm Mouth Rinse freshens breath using OraSan, a new breath technology that targets volatile sulfur compounds (VSCs) and the anaerobic bacteria or "bad bacteria" found in the mouth. 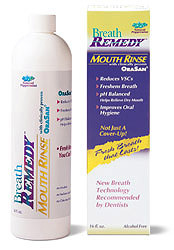 Unlike alcohol-based rinses that cause dry mouth, and perfumed remedies which simply "cover-up" or mask bad breath, the Breath Remedy Mouth Rinse with OraSan has Oxygenating Action that has been clinically proven to help eliminate chronic or occasional Halitosis and improve oral hygiene.